Today, 12th August was in 1999 designated as the International Youth Day by the United Nations general assembly to recognise the efforts of world youth in enhancing global society. This year’s International Youth Day has as its theme “Youth Civic Engagement” which recognises the importance of the engagement and participation of young people in development initiatives. It also seeks to reverse the current situation of little or no engagement of youths in most national, social, economic and political discourse in many countries. Given that the youth account for over 65 percent of Africa’s population and most countries on the continent in the low and middle income countries category, the importance of engaging this population in developmental issues cannot be over-emphasised, as they are both a major driver and contributor to national development. 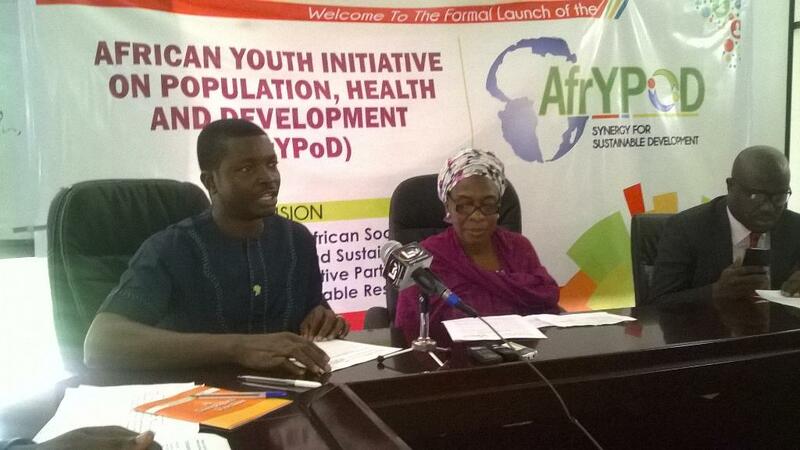 From the foregoing, a youth-centred pan-African initiative like the African Youth Initiative on Population, Health and Development (AfrYPoD) being launched today is of essence. 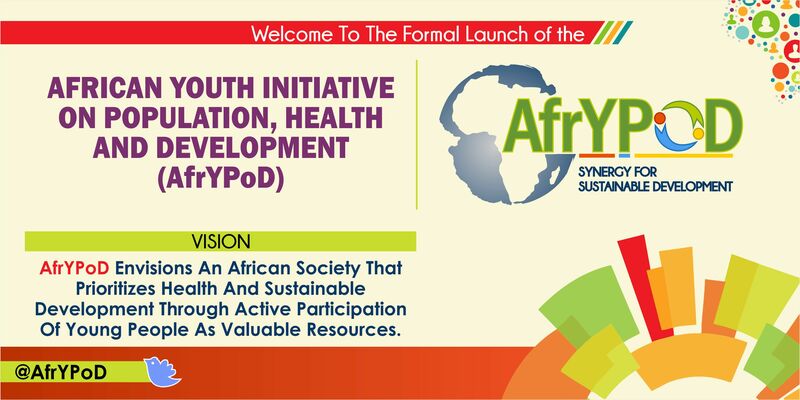 AfrYPoD envisions an African society that prioritizes health and sustainable development through active participation of young people as valuable resources. This is more-so as 2009-2018 has been declared the “African Youth Decade” and the recognition that we are the future of society, the product of its evolution, the preserver of its values and the ones to live out the consequences of its current condition. AfrYPoD’s mission is to build a strong network of individuals and youth-focused organisations in Africa that promote, lead and/or support the implementation of the recommendations of International Conference on Population and Development (ICPD) Program of Action, ICPD+5 Review, ICPD Beyond 2014 Global Consultations and other internationally agreed conventions that promote health, development and universally acceptable human rights in an efficient, sustainable and acceptable manner across countries in Africa. In conclusion, as national development translates into the improvement of the lives of all people in communities where development is fundamentally deficient; sustainable and equitable development on the continent in the 21st century must involve the full participation of youths in the planning, implementation, monitoring, evaluation of developmental programs and policies and likewise the establishment of acceptable channels of communication with national governments. The youth are said to be leaders of tomorrow; our tomorrow is TODAY! We hereby call on African heads of government to intensify efforts to achieve the goals of the African Decade for the Youth with effective utilization of the youth demographic dividend via youth civic engagement.